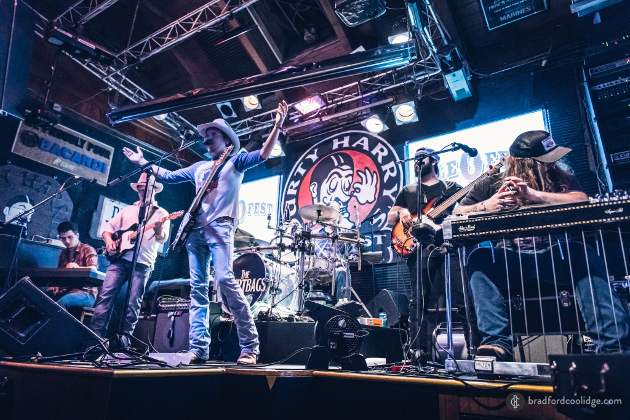 Last summer when Mile 0 Fest announced its intentions to hold a Texas music festival in Key West, Florida, and then announced a lineup that seemed almost too good to be true, there was an awful lot of concern and trepidation about what could happen. First year festivals can be perilous enough. Putting one on in paradise creates an entirely new set of difficult circumstances. Amassing such an incredible talent budget that it could bankrupt a small Caribbean nation made it seem especially risky, for the promoters, fans, artists, vendors, and sponsors alike. And remember, this was mere months after the now notorious debacle that was Fyre Fest. But what few budgeted for was the resolve the recently-formed Oh Wook! 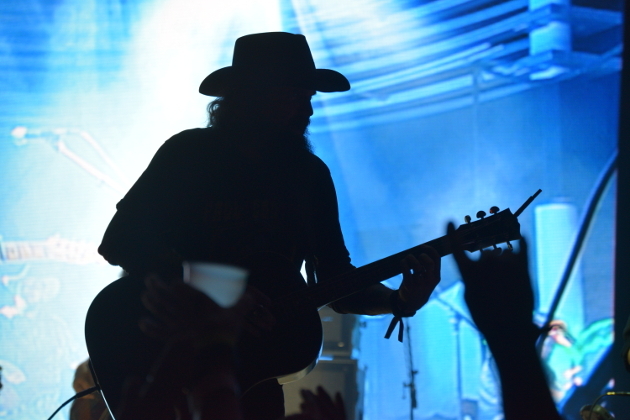 Productions had to do a Texas music destination festival in the Florida Keys, and to do it right, whatever the cost. Their desire wasn’t just to not lose their shirts and be rendered laughing stocks, they have a deep belief in the potential of Texas music to be a rising power that can not only support such an event, but arguably requires it as the music continues to grow, and needs new enclaves within the United States from which to build more tour routes and infrastructure around. 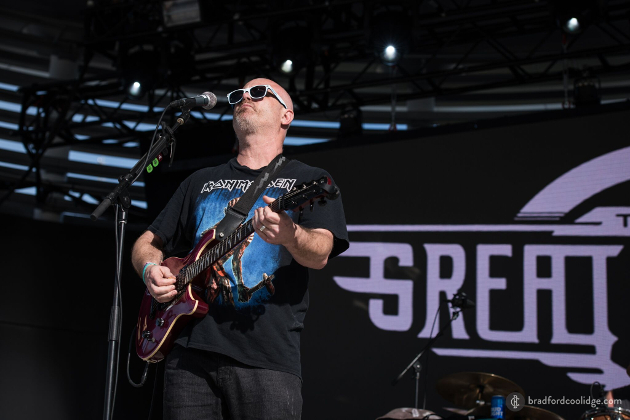 There were additional adversities that presented themselves in the run up to the inaugural Mile 0 Fest. A major hurricane hit the island chain just months before. The main venue for the event—the Truman Waterfront Park Ampitheater——was still finishing construction, and was delayed by the hurricane even further. The already-limited amount of hotel accommodations on the small island tightened up even more as certain properties closed down for repairs. Yet as the logistical issues kept arising, the promoters kept stepping up, continuing to bring on people and resources, eventually swelling to some 200 people who in some capacity helped to put the festival on. Even if they took a bath behind the scenes, the Mile 0 Fest experience was not going to be a wash out. 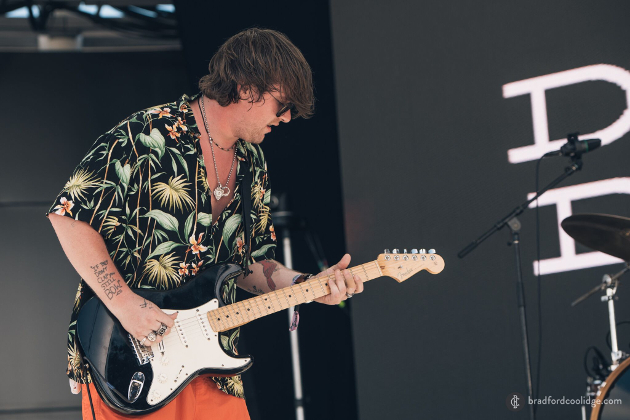 Down to a man, the performers and attendees of the inaugural Mile 0 Fest had nothing but praise for event, aside from maybe a few minor suggestions moving forward. Mile 0 Fest wasn’t just a success logistically for a first year festival, you could count it as the envy of many festivals that have been around for years and are still trying to figure out certain issues such as long lines for entry and beer, and just not thinking of simple creature comforts that make the festival-going experience a breeze where the focus is on the music, not everything else. And despite no real major lines, Mile 0 Fest was well-attended. There was room to grow, but during the headliner sets on the respective nights, it was packed in front of the stage, but still some room behind if you wanted to hang back. 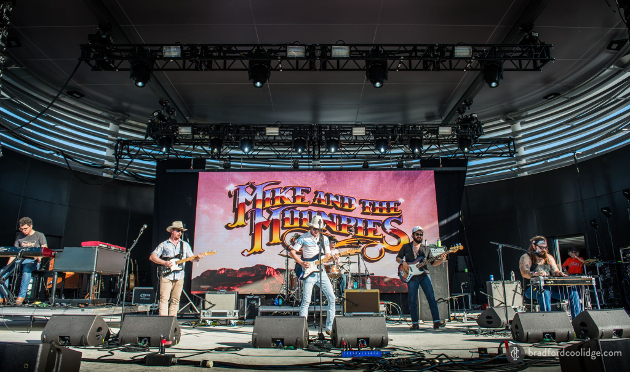 One of the biggest concerns from many was how similar Mile 0 Fest is to another mainstay Texas music event each year—Music Fest in Steamboat Springs, CO just a few weeks before on the calendar. 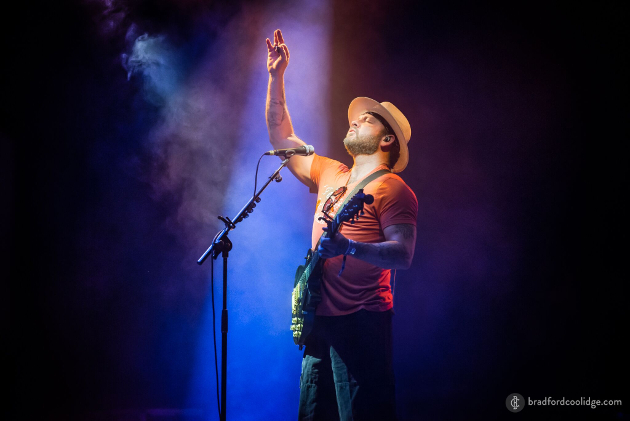 Music Fest has been the established destination festival for Texas music for many years. Let’s face it, Mile 0 Fest was at least inspired by Steamboat. 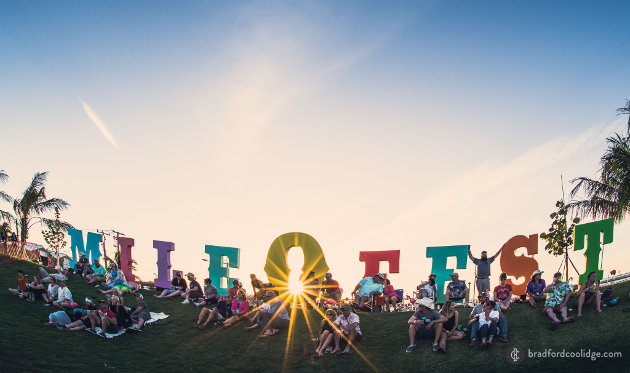 But aside from the obvious differences in climate and geography, Mile 0 Fest feels a bit more like a traditional festival with a main stage being the centerpiece, and the side stages at local venues being there for the more dedicated before and after crowd. 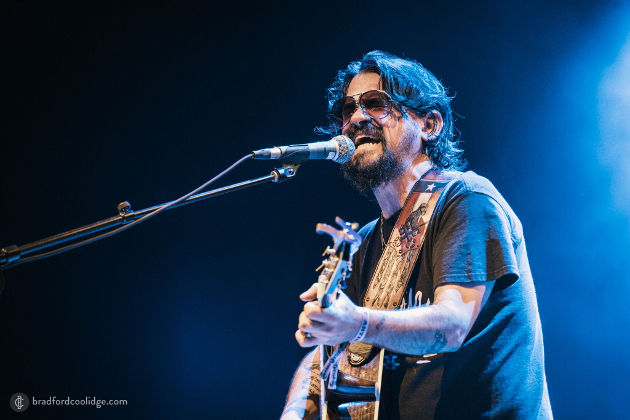 Acoustic performances are certainly a part of Mile 0 Fest, but they’re not the primary element. 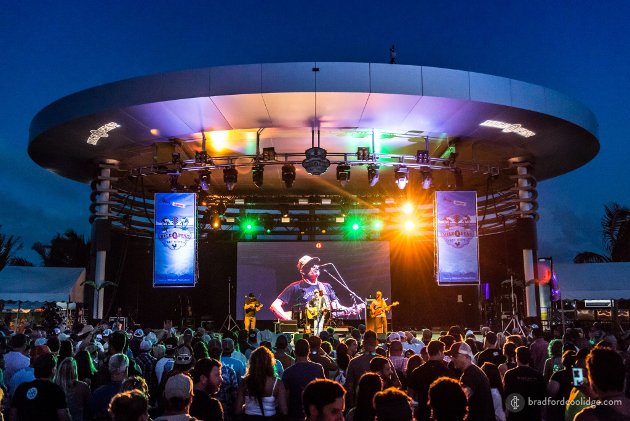 One similarity between Music Fest in Steamboat and Mile 0 Fest is the incredible opportunity for collaboration between the artists, which they take advantage of to the point where the musical experience is unparalleled, for both the crowds and performers. Even without scheduling certain artists to perform together, they just do, because they’re looking for a good time as well. 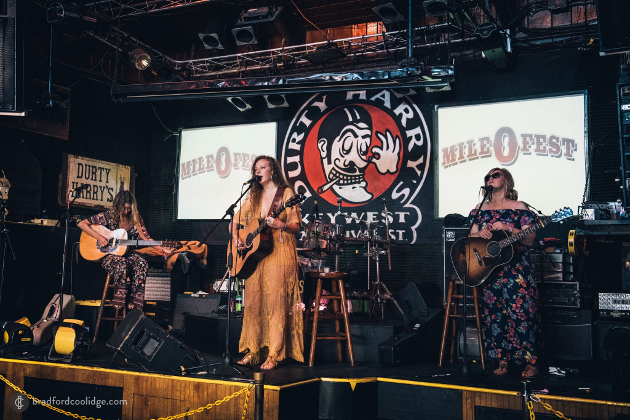 And as you’re wide-eyed and ecstatic to see some of your favorite musicians playing together on stage, it was not uncommon during Mile 0 Fest to look beside you at some of Duval St.’s famous venues and see some of your other favorite musicians watching along. The talent lineup was hard to go wrong with regardless, and all the performers appeared to bring their ‘A’ game and actually mean it when they talked about how thrilled they were to be there as opposed to the lip service they normally pay about local stops from the stage. 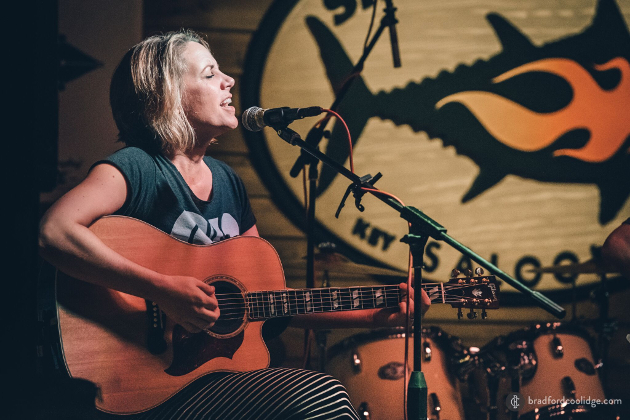 But when talking about collaborations and the talent that made its way to the island for the week, the first name that needs to be broached is that of Jamie Lin Wilson. Jamie Lin Wilson was the Queen of Mile 0 Fest. No other artist received more respect from her peers, or worked harder to make each performance by herself and others something magical. 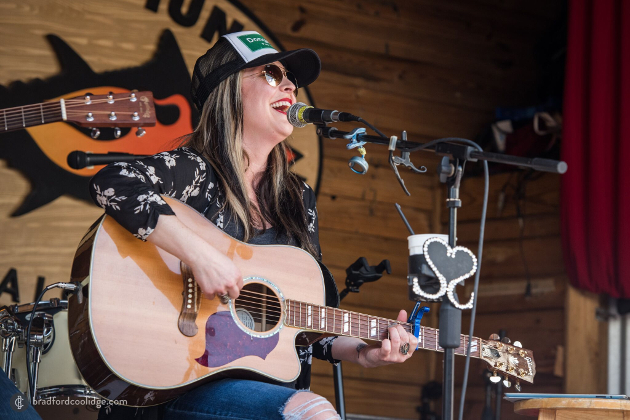 From her solo slots, to singing harmonies with the Turnpike Troubadours, Wade Bowen, Courtney Patton and many more, she was the glue that bound it all together. 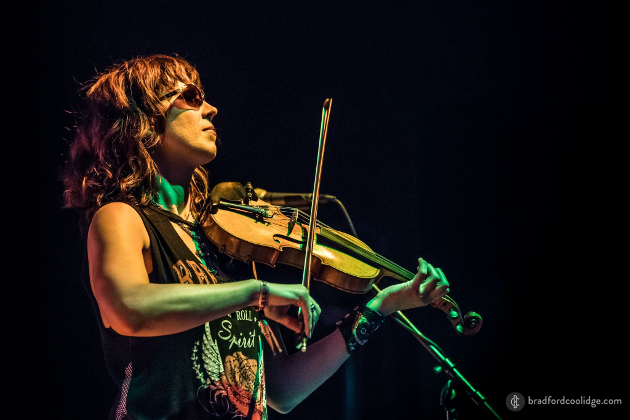 Every festival has that artist or two who becomes a mainstay of the roster, and that should be Jamie Lin Wilson for Mile 0 Fest. 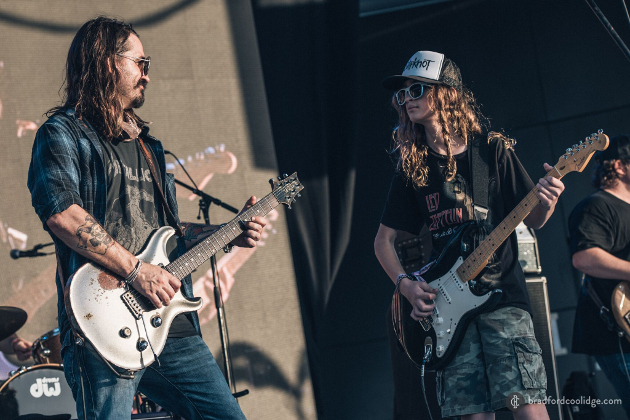 Mile 0 Fest also felt very much like a family affair, with Cody Canada’s son Dierks playing guitar with his father’s band The Departed, as well as with Ray Wylie Hubbard, who already has his own son Lucas Hubbard in his band. 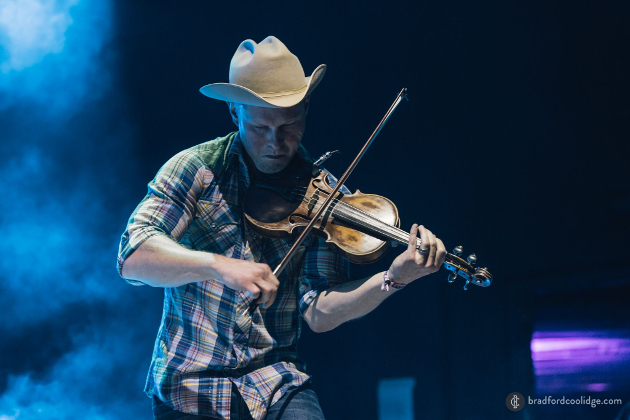 And one of the coolest moments of the festival was when the son of Ryan Engleman of the Turnpike Troubadours crashed the stage and had everyone laughing. Shinyribs was also responsible for one of the more entertaining moments of the fest when he leaped off the stage near the end of his set and started a conga line that snaked across the festival grounds. 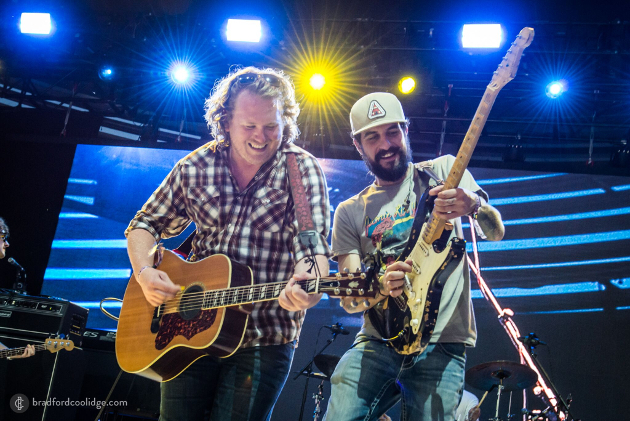 Though it was hard to know what to expect from the “Unleashed” set from stalwarts Jack Ingram, Charlie Robison, and Bruce Robison if you hadn’t seen them together before (stools at center stage and story time? 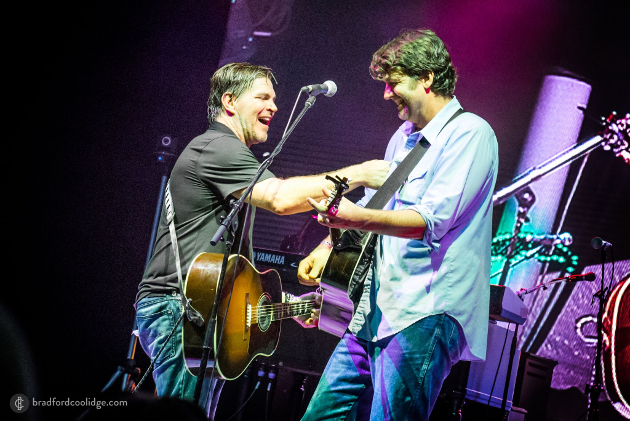 ), they put on one of the best, and most energetic and entertaining sets of the festival. 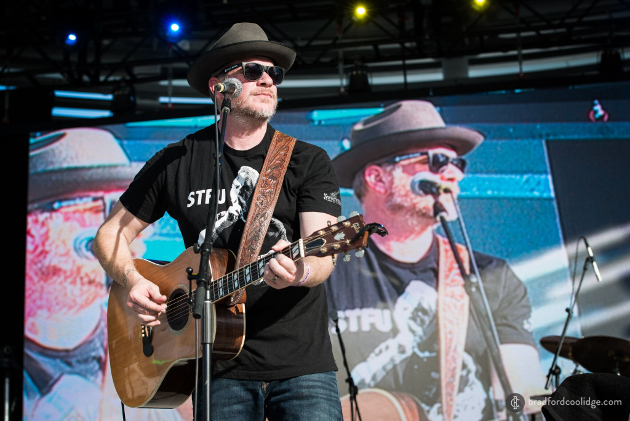 Mile 0 Fest also made sure to pay respects to the founders of the music by booking the Red Dirt Rangers, and Mike McClure’s The Great Divide. 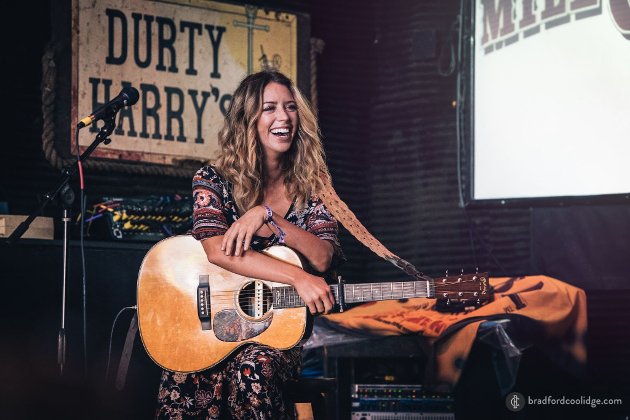 There were also up-and-coming songwriters like Kaitlin Butts who had their opportunities to play on side stages to give the audience something to discover. Though Mile 0 Fest did a better job than other festivals in Texas music representing women, it still could have been more, and it could have made more room for them on the main stage since the sets from Jamie Lin Wilson and Sunny Sweeney were so in demand, it created difficulty seeing them at the smaller venues. 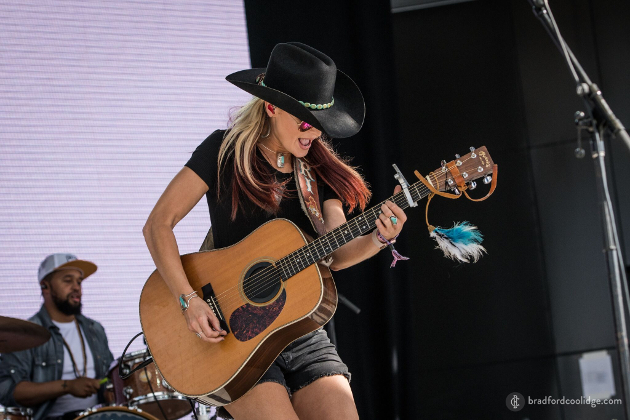 Bri Bagwell and Carter Sampson both made the best of their main stage opening sets. 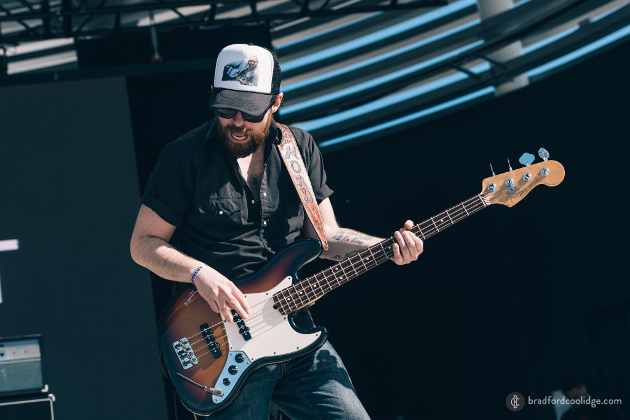 Mike and the Moonpies may have been the biggest takeaway from the weekend, at least on the true country side, but of course closing headliner Cody Jinks showed why he is poised to blow up in 2018. John Moreland’s full band electric set was an entertaining affair for those maybe a little trepidatious to see him not sitting on a stool and singing his songs acoustically. 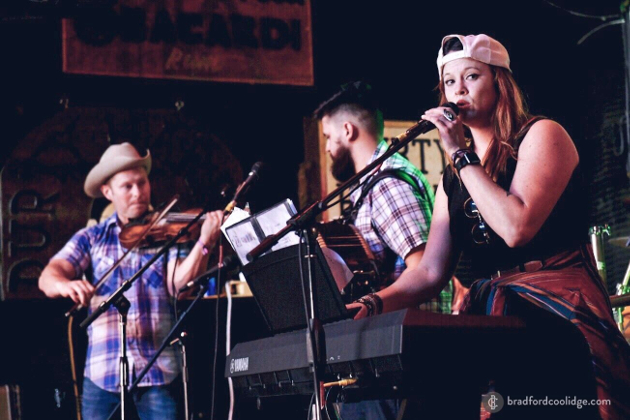 The new band perhaps could have tightened up their performances a little bit between songs, but that probably became more evident as one of the primary Americana bands at the fest as opposed to the performance-savvy Texas Music stalwarts like Wade Bowen and William Clark Green. However when Moreland and Co. were tearing into a song like their cover of Tom Petty’s “You Wreck Me,” everything was right in the world. 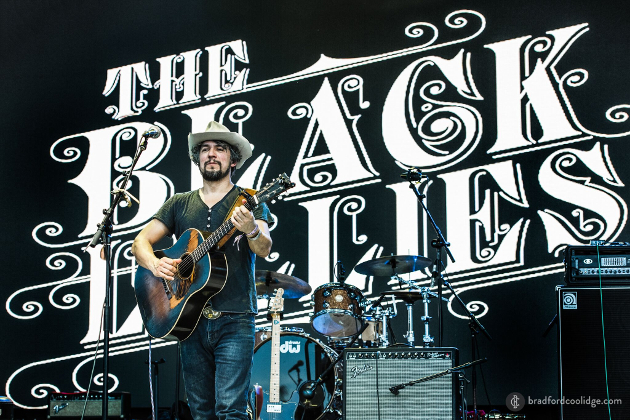 The Black Lillies—who are sporting a revamped lineup of their own—also did not disappoint. Perhaps they’re a little more hard charging these days, but still the heart of the song is well-represented. And Shooter Jennings—despite needing to ax “The Gunslinger” from his set list due to the mostly family-friendly nature of the crowd—put on a great show, playing mostly his country rock and well-recognized material to a great reception from the crowd, and was given that much more legitimacy by the presence of his new badass fiddle player, Aubrey Richmond. There were a few small issues with the festival, like maybe figuring out how to shuttle people back and forth from the main amphitheater to the cluster of venues on nearby Duval St. a little better, to simplifying the #hashtag the festival chose to make it more intuitive so folks can connect on social media. And certainly the biggest challenge for all festivals is the second year, which will assuredly see a much bigger turnout now they everyone knows it won’t be another Fyre Fest. But Mile 0 Fest pulled it off, and with flying colors. Obviously with the price points for tickets and the cost of simply getting to Key West, it will always be something of a splurge, or an impossibility for many to attend. 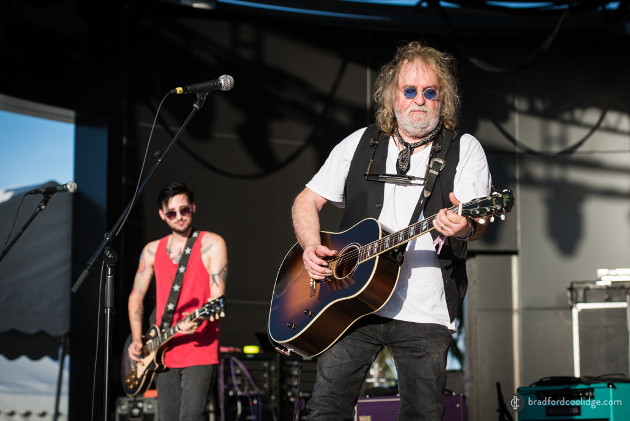 But there is no reason Mile 0 Fest couldn’t and shouldn’t be another hub for Texoma music in the annual calendar, and on the touring map. 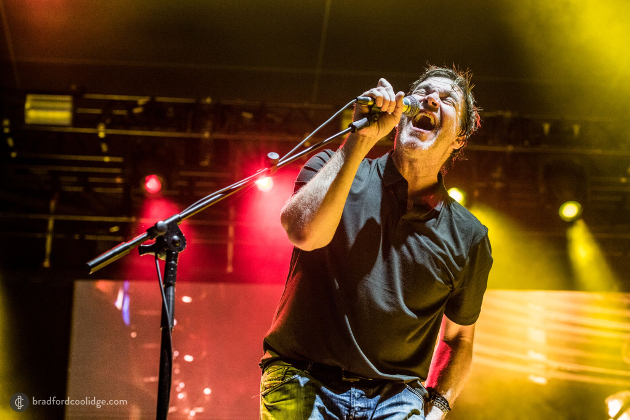 If we learned anything from Mile 0 Fest 2018, it’s that the power of Texas music is surging, and it can dream big and overcome adversity. It is truly the healthy alternative to the mainstream, and it’s worth any extra effort to find the bands, and attend the shows. Photos by Brad Coolidge, who can be found on Instagram and Twitter. Kylie Rae Harris’s “Twenty Years From Now” left not a dry eye in the House. 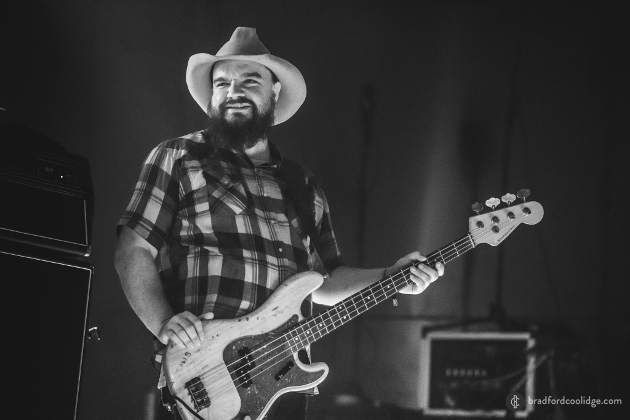 Amber Watson (right) is a close friend of the Turnpike Troubadours and plays in a band with bass player RC Edwards. 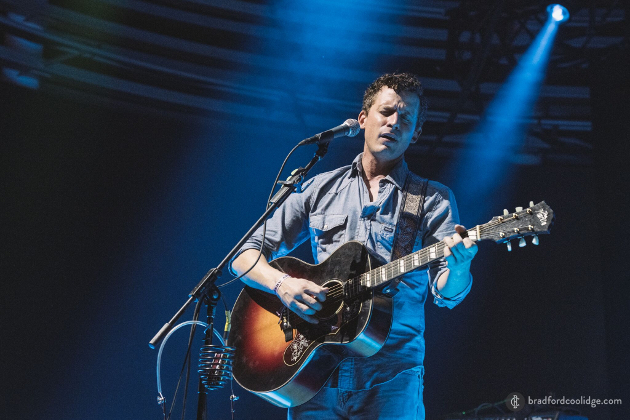 At one point Evan Felker was sleeping on her couch in Tahlequah, OK. They performed Thursday at Durty Harry’s. 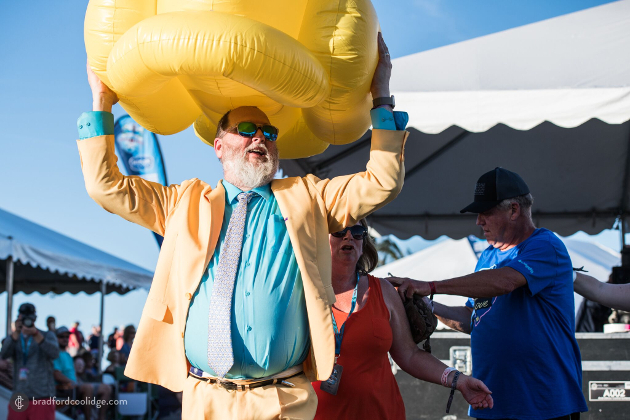 At the end of his set, Shinyribs led the Mile 0 Fest crowd in a massive conga line. A massive yellow inflatable rubber ducky was also involved. 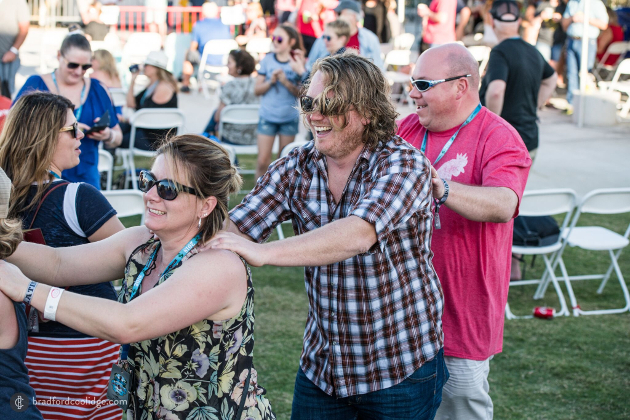 William Clark Green may or may not have joined in the conga line. William Clark Green on the main stage. 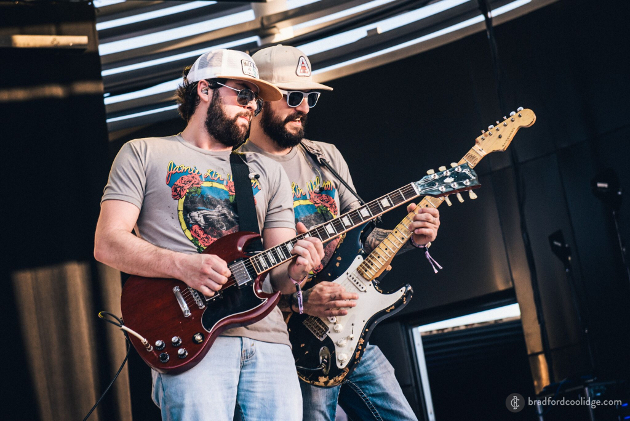 Normally if William Clark Green’s lead guitarists both worn the same shirts, it may be kind of weird. But since they were both repping Jamie Lin Wilson, it made it very incredibly awesome. 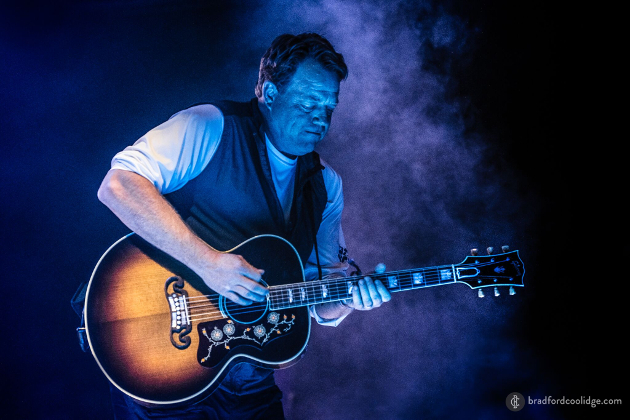 Thursday night headliner Pat Green. Dalton Domino. 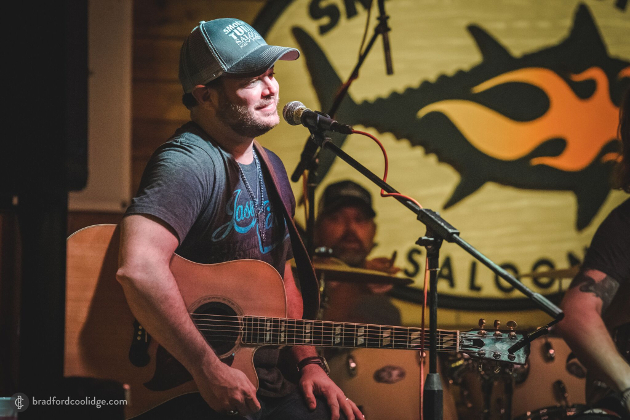 His song “Corners” killed at both his main stage set, and the final set of the fest at the Smokin’ Tuna. Mike and the Moonpies on the main stage. One of the biggest takeaways from Mile 0 Fest 2018. Uncle Lucius, who played one of their final sets on their farewell tour. 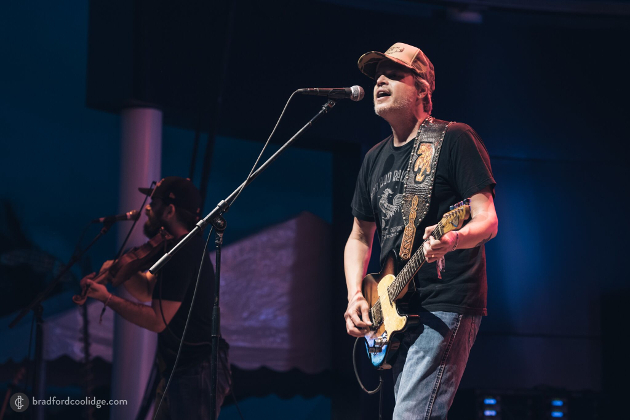 Mike McClure of The Great Divide, who have reunited after a 10-year hiatus. 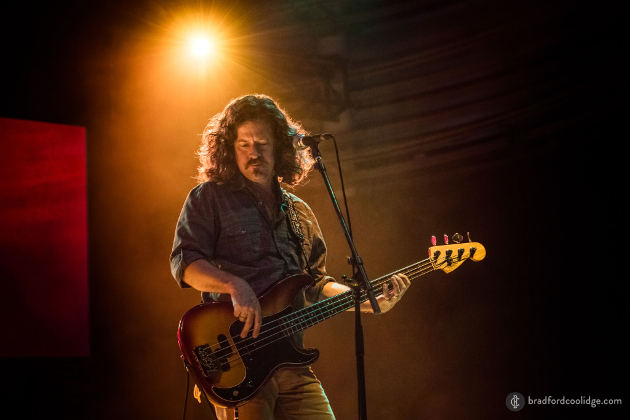 The Black Lillies don’t miss a beat after the recent lineup change. When we bought tickets to this festival, paid a babysitter, and made arrangements to get there I was counting it a win to have most of the artists show up. After going to Steamboat last year I figured the budget needed a break and that mile 0 might be a one time thing….. I’ll be damned if we didn’t pre-register for next year! This was far beyond my wildest expectations. The music was incredible, of course, but the organization, the venues, the perks we received, and the overall vibe of the whole week blew me away! We live in Alabama and don’t get to see our choice of artists any given weekend like some of the lucky folks in Texas but this week totally made up for that. It was worth every penny and we will definitely be back next year. 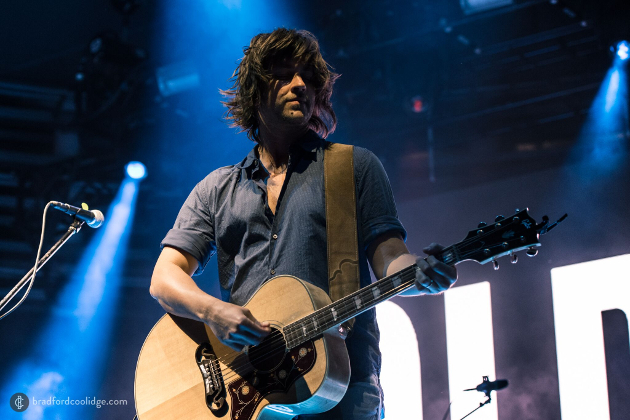 Great review and pictures, too! Similar lineup to the Braun Brothers reunion, with even more artists. They still have somethings to workout but that is understandable given it was year one. The locals were interested in how it was received as they have never tried anything like this before. I will go back. Key West in February was not hard to take. The other great effect the festival had was that February has been an excellent month of music all over Florida as the groups made their way to Key West and back. Finally getting the chance to see many of the artist I listen to. Yes, and this is on purpose. Having a hub in Florida for artists to travel to and from will open up a greater fan base to Texas music in Florida and along the I-10 corridor, as well as finally serve a lot of the fans that already exist there. This is how you grow a movement in substantial ways. Fantastic review! Without overdoing the superlatives. Some authors I cannot follow. This review hits hard. That’s good. Did not attend year one due to the afore mentioned concerns. Attend BBR and Medicine Stone already. Live in Texas Hill Country. Many a Spring Break in Daytona, Lauderdale and Keys. Key West in February is a neodymium magnet. Working on next year! One of the most under rated concerts is a Bri Bagwell show. She is great live. I would highly recommend seeing her if she is ever on tour close to anyone. Her recorded stuff does not compare at all to how she plays live. Just go to the concert, you won’t regret it. I think there’s a stigma out there that women can’t “bring it” on a big stage. Bri Bagwell is an example of how that’s a misnomer. Incredibly glad we ended up attending this. It was fantastic organization by all involved. The sound quality (including at satellite venues) was above and beyond most individual concerts I’ve been to much less festivals. Mike and/or the Moonpies everywhere including the 10 minute instrument swapping version of Can’t You See at Jamie Lin’s jamboree. Cody Canada and Mike McClure at the gold VIP show. Cody Canada saying Dalton Domino was dressed like someone who dies in the first 5 minutes of a Miami vice show. Meeting all the great folks from all over the country who love this music. We are lucky to get some of these artists to have shows in Indiana. I never imagined to be able to see them all in one weekend. 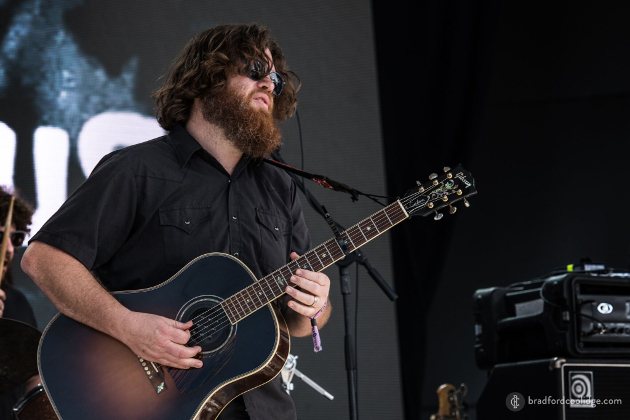 In regard to the slow song changes for the Moreland set, I would venture a lot of that had to do with I believe they were playing on mostly borrowed equipment as most of theirs was stolen in Orlando a few nights before. Very well could be. Borrowed gear can take some getting used to. Their set was great nonetheless. I’m glad everyone had a great time! Thanks for the pics and review! I’ve determined these festivals aren’t for me though. I liken them to the sampler platter at Cracker Barrel: on paper, Hickory Smoked Ham, Meatloaf and Chicken and Dumplings sound fantastic, but the main entree portions are small and the sides – green beans, mashed potatoes, kale and broccoli slaw, corn bread – take up most of the plate. The alternative is to have your chicken and dumplings today and the fried catfish next month and then the country fried steak in the fall. Living in Atlanta we would never get to see many of these artists. Like if your cracker barrel didn’t have chicken fried chicken at all. Was interested to hear this report. Festivals tend not to be my thing, but the killer lineup here, plus the built-in limitations that make crowds and venues more manageable than most, has piqued my curiosity. Hope the numbers worked out enough to give it traction. And thanks for including Brad’s art. Still can’t beat a professional. 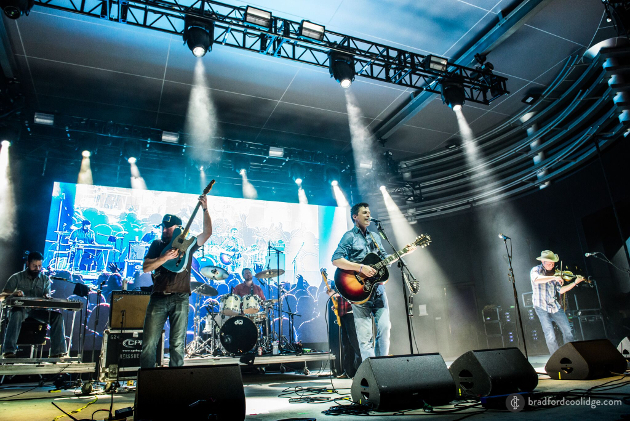 Great festival…No real hiccups anywhere that I could see..Quick band changes..Great sound..Decent “refreshment” pricing..Not to mention the great lineup at the main stage and the satellite stages. I was leery about the 1st one thing but the Oh Wook! folks worked hard to make everything right! I’ve already reserved my place for next year. 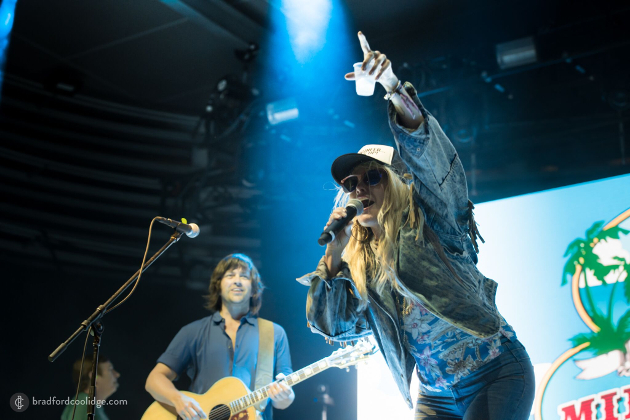 Elizabeth Cook seemed like an odd choice for host, but she does it well and I got the added bonus of an acoustic set on a satellite stage. It was very good. She was in rare form with her between songs banter and she sounded great. Her new stuff is good.